[PDF] The New Food Lover's Companion,4Rev Ed | Free eBooks Download - EBOOKEE! Description: The brand-new fourth edition of this widely praised reference guide has been updated with new information for everyone, including lovers of ethnic foods and health food aficionados. The authors have added many all-new entries on exotic produce and other unusual ingredients. An earlier edition of "The New Food Lover's Companion" was hailed by Bon Appetit magazine as "one of the best reference books we've seen, a must for every cook's library".This new edition has even more to offer! Among the myriad foods and culinary subjects defined and explained are cooking tools and techniques, meat cuts, breads, pastas, international foods, and literally everything else related to good food and enjoyable dining. Handy appendices cover many topics, including suggestions for substituting recipe ingredients, a microwave oven conversion chart, recommended safe cooking temperatures for meats and fish, and much more. 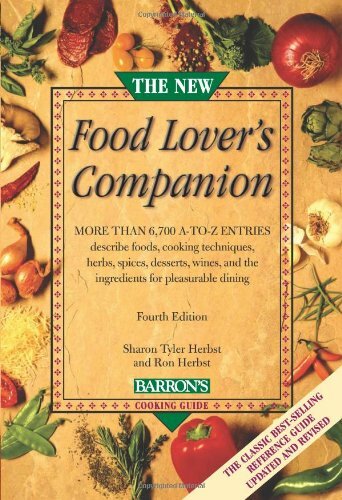 "The New Food Lover's Companion" is a reference guide - not a cookbook - but it includes hundreds of cooking tips plus an extensive bibliography of recommended cookbooks. It contains more than 6,700 entries plus line art. No comments for "[PDF] The New Food Lover's Companion,4Rev Ed".